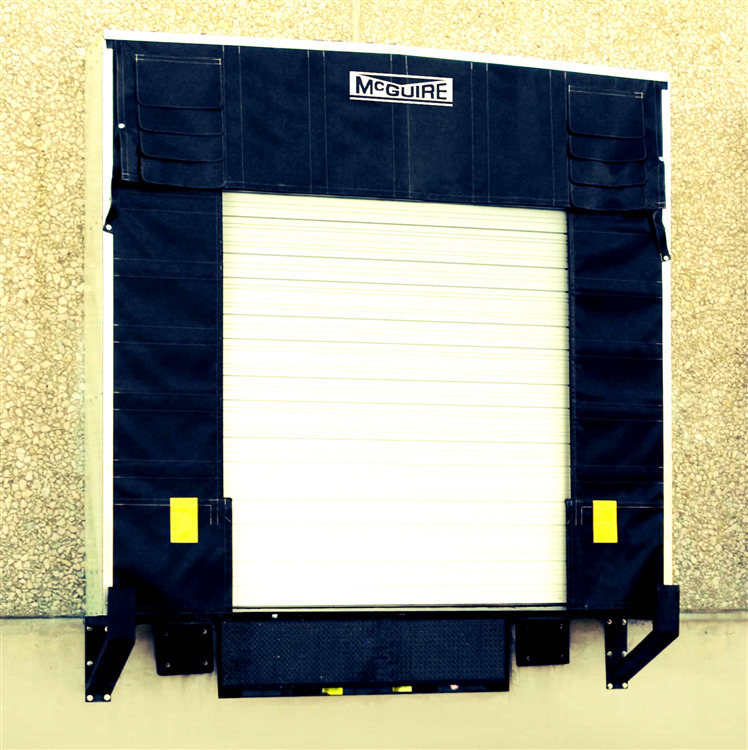 It is designed to maximize the tightest possible seal between the rail car and dock door. 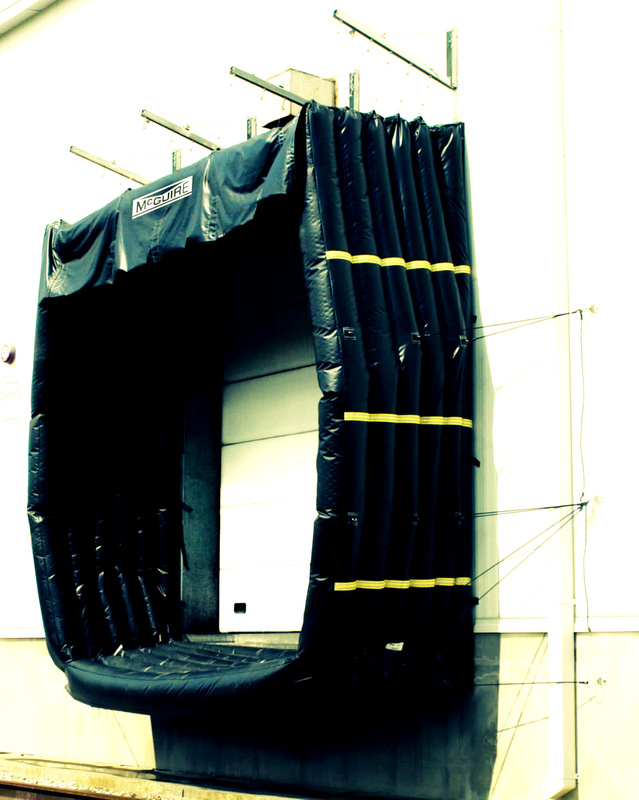 These 3 or 4 sided inflatable shelters can be used in the same applications as the flexible frame rail shelter. A uniquely designed interior baffle construction assures retention of shape. This shelter services a wide variety of vehicle sizes and types, while providing full unimpeded access to the interior of the trailer. The flexible steel X arm frame yields to misguided vehicles and aids in the prevention of costly building and shelter damage. If an off-center trailer contacts the frame it moves upwards and back to prevent potential damage to the wall and/or shelter. The TC 900 series soft sided shelter services a wide variety of vehicle sizes and types, while providing full unimpeded access to the interior of the trailer. Head and side curtains have ScotchPly® stays. 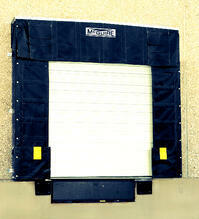 The soft sides on the shelter prevent damage to the shelter from any off center trailers. The TC400 series rigid wood frame shelter is still the best way to accommodate the widest variety of high volume traffic with varying widths and heights. 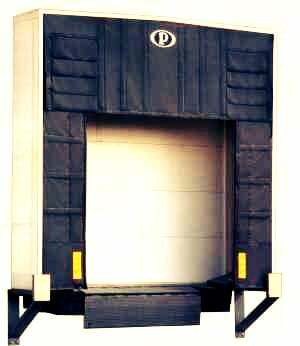 Perma Rigid Shelters are designed to service a variety of truck sizes and types, regardless of dock door size or bumper projection. The TC400 series rigid wood frame shelter is still the best way to accommodate the widest variety of high volume traffic with varying widths and heights. It has a durable rigid frame of double kiln dried pressure treated lumber, or steel tube framing, with raked header to promote drainage. The TC400 series shelter comes standard with rigid wood frame and fiberglass translucent head & side panels. The flexible side and head panels attached to the rigid frame provide full unimpeded access to the interior of the trailer. Two steel protectors and bottom draft pads are standard. Request more information. The TC 300 series flexible steel frame shelter services a wide variety of vehicle sizes and types, while providing full unimpeded access to the interior of the trailer. The flexible steel X arm frame yields to misguided vehicles and aids in the prevention of costly building and shelter damage. If an off-center trailer contacts the frame it moves upwards and back to prevent potential damage to the wall and/or shelter. After the vehicle leaves the X arm design returns the frame to its original position. The top is raked to promote drainage and top and sides are covered with a translucent fabric to protect from the elements and permit light to enter. Two steel protectors and bottom draft pads are standard. Request more information. The TC 900 series soft sided shelter services a wide variety of vehicle sizes and types, while providing full unimpeded access to the interior of the trailer. It has durable foam side frames that are mounted to double kiln dried lumber at the wall with removable side curtains attached to high impact polypropylene on inside of foam pads at the face. The TC900 series shelter comes standard with a structurally self supported head canopy that is translucent and raked for drainage. Head and side curtains have ScotchPly® stays. 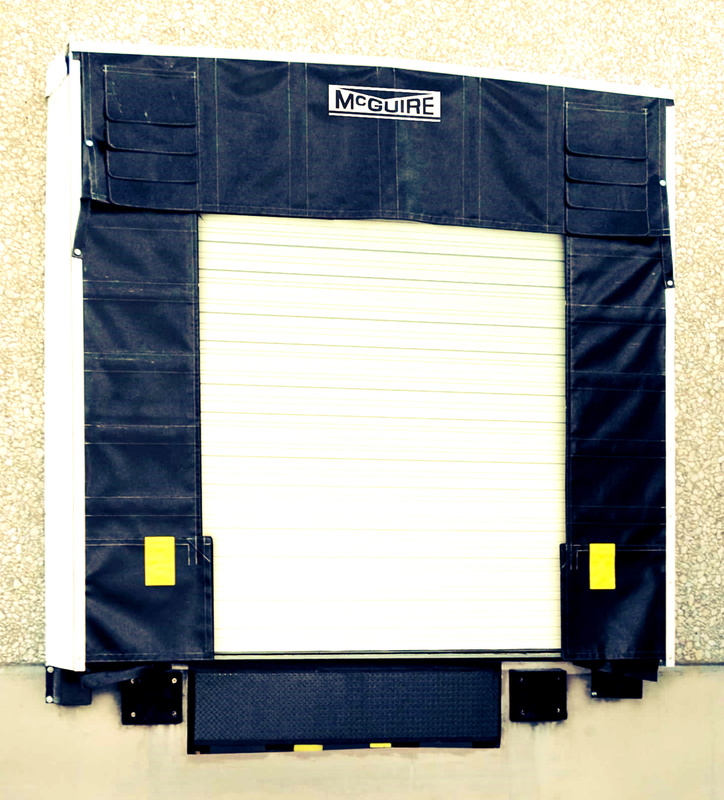 The soft sides on the shelter prevent damage to the shelter from any off center trailers. Bottom draft pads are standard. Request more information. The RC 200 series inflatable rail shelter is designed to maximize the tightest possible seal between the rail car and dock door. These 3 or 4 sided inflatable shelters can be used in the same applications as the flexible frame rail shelter. It provides unimpeded access to the interior of the rail car. A uniquely designed interior baffle construction assures retention of shape. Tension cords attached to the fabric bag and strategically mounted to the wall provide automatic lift and return to the stored position. The exterior mounted air blower comes with its own hood assembly. Request more information. Perma Rigid Shelters are designed to service a variety of truck sizes and types, regardless of dock door size or bumper projection. As trucks back into the shelter, face curtains wrap around truck sides and top for positive weather protection, ensuring reduced energy costs, loading safety, and product protection. The full trailer opening remains accessible for unrestricted loading and unloading. And it can accommodate the 8'6" wide trailers. Request more information. ** We offer a wide variety of dock shelter cover fabrics and unit sizes to custom build a dock shelter designed to meet your requirements.